Lots has been happening over the past two weeks with trips to Las Vegas to speak at “The Experts Conference” (TEC), Flayosc (south of France) for some vacation, and England for rugby. It’s time to consider some of the incidents encountered along the way. I landed in Las Vegas late on the Saturday before TEC. The direct BA flight from LHR is recommended as it takes off from London at a reasonable time (16:25) and gets to Vegas at 18:25. The upshot is that you have a fair chance of avoiding jet lag because you get to your hotel at a time when it seems appropriate to go to bed. Of course, activity is also a good way to tame the jet lag blues and that’s what I did on Sunday when I had the chance of engaging in a pursuit that is totally legal in Nevada but totally illegal in Ireland. Five of us set off in a van to go into the desert, whereupon one of our party, a very skilled and experienced weapons specialist, revealed the arsenal carried in the car. Four automatic rifles and a collection of handguns, not to mention enough ammunition to take on a small South American country, were unveiled for our pleasure. I fully accept that many people have problems with sporting use of weapons and believe that no one outside the law enforcement agencies and military should have access to rifles and handguns. This is certainly a rational position and it’s the one that exists in many parts of the world. However, Nevada is a western state where the right to bear arms is cherished. Accordingly, we had great fun blasting at a range of targets, including some that exploded in a rather gratifying way when they were hit. While I have fired various shotguns, rifles, and pistols several times before, I am by no means experienced with arms and it was good to have someone who could instruct us in the right way to handle and load the weapons. All in all, it was an unusual and effective way of eliminating jet lag. TEC is a small conference that prides itself in the deep level of technical content in its sessions, especially anything to do with Active Directory (TEC originated as a conference dedicated to all aspects of directory technology). My assessment is that some of the sessions were indeed very good and worthwhile but like all conferences, there were others that were pretty awful with speakers who may have had command of their content but couldn’t communicate its worth or import to the audience. On the upside, Microsoft put in a very strong effort and the Exchange development group delivered a number of very good sessions. I also noted that the conference was run very well with a lot of attention to detail, which is always good to see. The conference hotel (Red Rock Resort) was also good, especially because it was well away from the infamous Las Vegas strip. After returning from Las Vegas, we spent last week in the south of France for the Easter break. The weather was a tad disappointing at times with some terrific thunderstorms but we managed to get a reasonable amount of work done in the house and garden to prepare for the summer, including the purchase of the all-important tables and chairs for the terrasse. 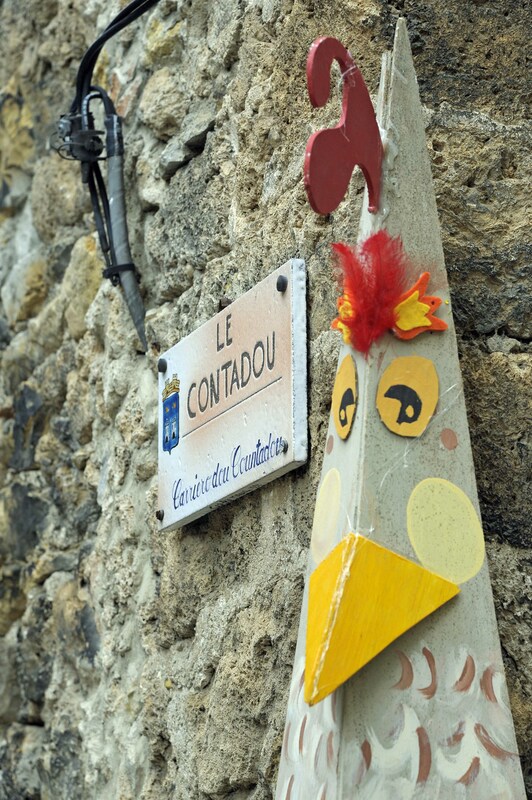 We also had the chance to visit a “Fête de Pâques” (Easter celebration) in Tourtour (Var), one of the prettiest villages in France (or so the sign said). 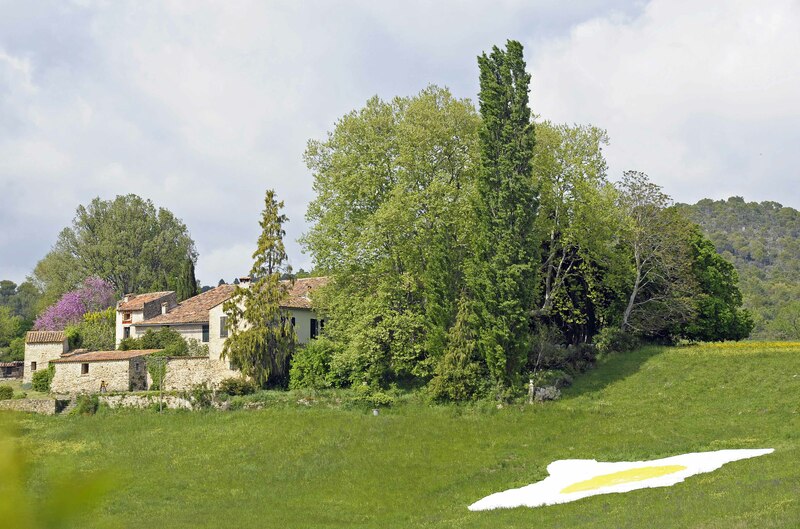 The whole village had clearly put a great deal of effort into preparing for the day and had decorated the entire place with eggs, chickens, and other Easter-like paraphernalia, including what seemed to be a massive fried egg that was deposited on the side of a hill (above). The movie buffs will know that Tourtour features in the “Day of the Jackal” where the assassin meets the countess at the “Bastide de Tourtour“, an excellent hotel if anyone is looking for a place to stay in Provence. As usual, the Aer Lingus flight to Nice from Dublin passed reasonably easily. The only problem we encountered was with car rental at Citer (National in other countries), who trotted out a claim that the new electronic fuel gauges on Citroen cars are faulty when I discovered that the C4 Picasso that they provided was only 7/8 full. Citer has used this excuse three times so far with us in 2011. They then compound the problem by sneakily charging to top up the fuel after you return the car. Unlike other car hire companies, Citer check the fuel level on cars after they reach the garage to be prepared for another hire, at which time they fill the car and charge you if the tank is not brimming. Most of their competitors at Nice such as Hertz, Sixt, and Avis check the tank when you return a car to ensure that it is reasonably full. No more is said if the needle is at the top of the gauge. Citer’s pretty dubious business practice is to claim that they have had to refill the car with a small amount of fuel, after which they put through a charge on your credit card. It’s invariably less than 10 Euro and I’m sure that some people don’t even notice the charge – but I do and have fought them and got a refund each time it’s happened. The solution is for Citer to fill their cars properly before they go out, to use the same check-in practices to validate tank contents as their competitors, and to stop this silly practice of slipping small charges through in the hope that their customers won’t notice. European club rugby resumed this weekend with the semi-finals of the Heineken Cup. On Saturday, Leinster beat Toulouse 32-23 in a gripping game that I watched in the Marriott Heathrow, a typical airport hotel that served as the base for the Irish refereeing team for the second semi-final between Northampton and Perpignan. Neutral refereeing teams of (referee, two assistant referees, two touchline controllers, and the TMO) are appointed for these games. On Sunday, we set out for the soccer stadium in Milton Keynes, which is the ground that Northampton had picked for the game. It was a sell-out of around 22,500 with a reasonable scattering of Perpignan fans. Unfortunately the game didn’t go well for them and Northampton ran out comfortable 23-7 winners. A fast turnaround found on back on the road to LHR in a ultra-smelly Avis special for a late flight back to Dublin. Tomorrow, I travel to San Diego for the first Exchange 2010 Maestro seminar of 2011, which starts on Tuesday. No doubt many good questions will be raised by the seminar participants that I can report on in future posts. Until then! This entry was posted in Rugby, Technology, Travel and tagged France, Heineken Cup, Tourtour, Var. Bookmark the permalink. Which company took you out to the firing range? Going to HP Discover 2011 and would like to try this. Some private individuals took me out. It wasn’t a company-organized event.